Mark Metcalfe, Documentation Director at web content and customer experience management software company Ektron, is an avid user of MadCap Software tools. He recently hosted the webinar, “Designing the Documentation User Experience to Speed Information,” which you can watch here. 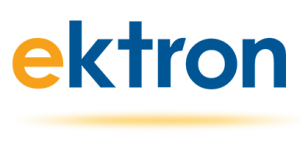 As the documentation director at Ektron, I am focused on making useful information easy to access and navigate for our customers. Part of that focus is devoted to maintaining an efficient project. Over time, projects accumulate unnecessary bloat (such as broken links that can be missed in testing, stuff that is unwittingly creating inside your XML content), and builds can take longer to complete. At Ektron, we use MadCap Analyzer in tandem with MadCap Flare to streamline our large projects and keep them running efficiently. Analyzer helps you identify critical pieces that are broken, unused, or may even leave you vulnerable. For example, let’s say you have SecretDataFile.htm in your project. It isn’t in your Table of Contents and will not show up after you build the project. Did you know that SecretDataFile.htm was still generated and packaged with your output? Even though people cannot access SecretDataFile.htm from your project (because it wasn’t in your TOC), they may be able to find the file through a search (because the file is included in the output as an unconnected project file). Broken anything! (Broken Links, Broken Bookmarks, and so on). Critical problems that show up in red get my first attention. If there only a few of them, you can click on the issue and fix it right in Analyzer, or export a larger report into a spreadsheet. Topics not linked by Map ID—This report finds the files that do not have links to context-sensitive help. Topics not in any TOC—This report finds SecretDataFile.htm and NoLongerUsedChapter.htm for you. Tip: If you set an exclude condition on a file in the Content tab, the file will not show up in your output files. If you set the condition on the TOC item, the file will show up in the output files! When we first started using Analyzer, we cut nearly 50% of our output file count, and cut our project files by over 25%. Since then, we periodically keep our Ektron documentation projects running efficiently (and inexpensively) with regular Analyzer maintenance. How much does it really matter? Check out MadCap’s press release and case study about Ektron documentation. Learn more about MadCap Analyzer and download your 30-day free trial here. Jennifer White, a Product Evangelist at MadCap Software, has over 15 years of experience in writing, broadcasting, public speaking, marketing and social media management. Jennifer has also served as a social media manager, blogger, on-air host, writer and content provider for CBS Radio and Fox TV.